Lake Martin, one of America's most beautiful lakes. The run will be entirely on the private lands of the Russell Forest Trail System near Alexander City, in East-Central Alabama. This race will be the perfect "First" 100 or 50 mile trail race. Race planning is easy with four 25 mile loops on rolling hills and very runnable trails. 100% of the course is on trails, carriage paths and gravel roads, most of which do not allow cars. Approximately 80% of the run is on single track trails. Several miles of each loop are along the shores of the Lake Martin and creeks flowing into the lake. 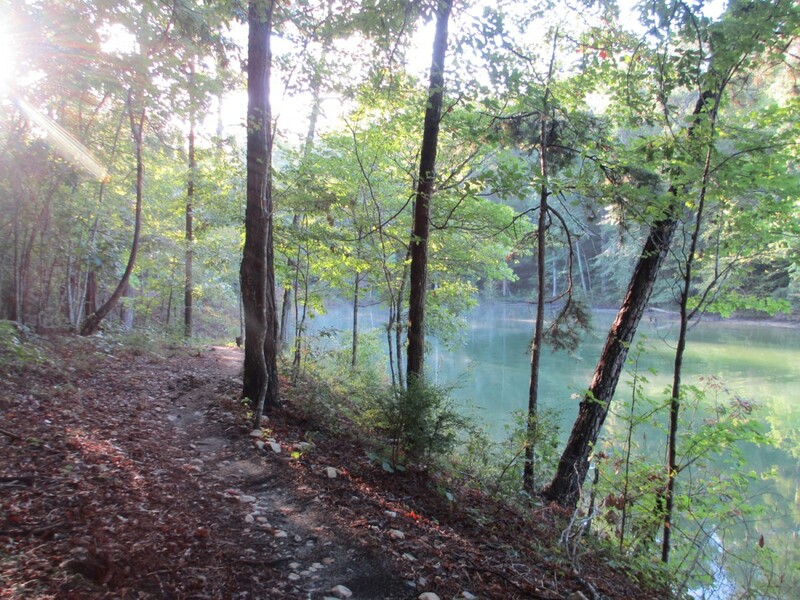 While the Lake Martin races are all excellent first ultras, it is not an easy course. The 100 will have almost 14,000 feet of elevation gain. The hills may be small but they never stop. Be prepared!